Our mission is to inspire the world to adopt XDN more actively. Notably contrasting XDN’s decentralized nature, we unite our proponents and enthusiasts in a community to give them a louder voice and stronger acting power. We believe in personal and financial freedom. The cryptonote technology employed in XDN allows its users to do completely anonymous and untraceable transactions, while ensuring secure note movement. We strive to set the world free through XDN’s groundbreaking technology. Our aim here is to give voice to everyone who wants to join the foundation or discussion about its operating issues. We want the foundation to be 100% community based and focused. community from both technical and philosophical standpoint. Engaging with those figures and securing their continued cooperation and support for the Foundation. Foundation in major new publications. Planning, organizing and conducting experts’ participation in major industry events and expos. Helping distribute the articles regarding XDN written by experts to major news publications. Organization of inside-foundation expert gatherings. Searching (both actively and passively) for capable people to fill in marketing and administrative vacancies within the Foundation. Organizing and conducting highly effective selection, initial testing and onboarding processes. Building an optimized organizational structure, ensuring that every participant of the Foundation is able to deliver a 100% performance on their goals. Developing and maintaining a system of staff compensation and motivation. Establishing channels of communication inside the Foundation to allow for secure, effective and fast communication of knowledge between its employees. 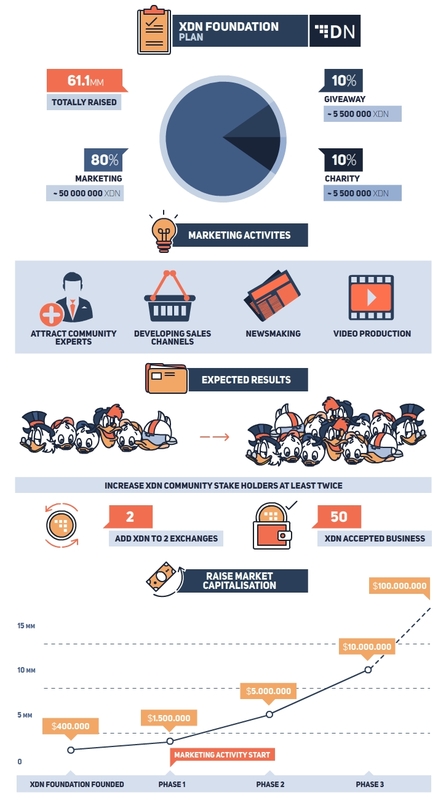 Exchanges, e-shops, micropayment platforms, etc. Developing a system for constant search and selection of partners for the XDN network. Distinguishing people responsible for initial contact. Figuring out best ways to approach new potential partners and secure cooperation with them. Developing a pricing strategy for commercial partners. Constant searching and selection of new partners and negotiation of the integration of the Digital note with them. Compiling a shortlist of marketing agencies suitable for the cause of promoting the XDN in partnership with the Foundation. Running a contest between the shortlisted agencies and selecting the best one. Negotiating the terms of partnership with the winning agency and signing a contract with it. Figuring out the best news triggers and writing press-releases in a tight cooperation with the partner agency. Outsourcing the distribution and publication of the press releases to the agency. that will explain the downsides of Bitcoin and how Digital note solves those. Designing the storyboards for the videos. Hiring a contractor to produce videos based on the storyboards. Distributing the videos to popular websites in the industry with newcomers as their principal audience. Working in conjunction with the platforms hosting the videos to increase the videos’ SEO and drive newbies towards them. 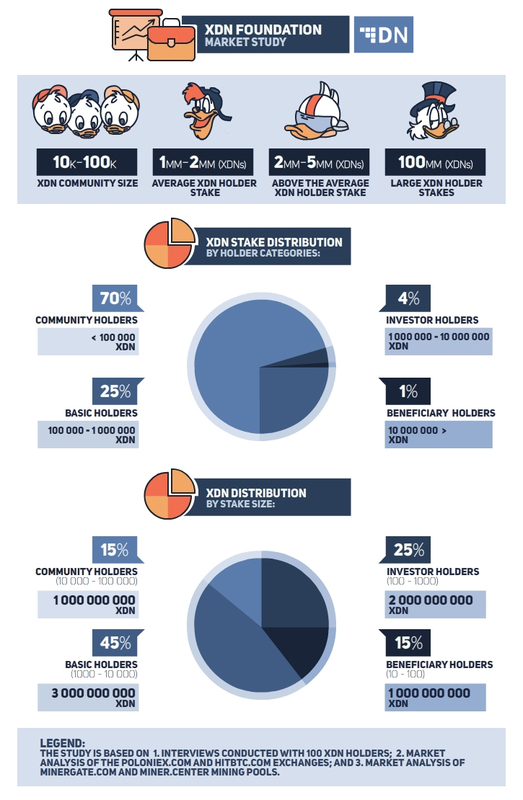 Doing all this we aim to achieve next results: first of all we wish to at least double the number of XDN holders and raise XDN market capitalization up to $5 000 000. Second, we aim to introduce XDN to not less than two cryptocurrency exchanges and 50 businesses. All this should not be a problem considering how much we’ve already done with your support, and now when we have resources more results will follow. If you have any ideas and suggestions that might help us reach our common goal - you are more than welcome. We really value every member of the community, your help and support which every day help us move forward. All what has been done so far, was made possible thanks to you!